Lent is the vibrant, exciting and colourful side of Maribor. Lent is the refreshing summer breeze off the Drava River. Lent is culture amidst fun, relaxation and the hustle and bustle of the city. Lent is also the largest outdoor festival in Slovenia and one of the largest in Europe. For the last 20 years, the Lent Festival has been taking place at the end of June and in early July, attracting over half a million visitors a year, which makes it the most recognisable cultural event in Slovenia. According to statistics, it has been visited at least once by one in four Slovenians! The Lent Festival owes its name to an area by the Drava River which used to act as a harbour for timber rafts that made their way from the Upper Drava Valley all the way to Belgrade from the 13th to the 20th century. To this day, the town district on the left bank of the Drava River – from the Judgement Tower to the Water Tower, two remnants of the once formidable town wall – bears the name Lent (developed from "Lände", the German word for landing place). Its multicultural character makes the Lent Festival a very special experience which is best summed up by one simple word – "lenting". 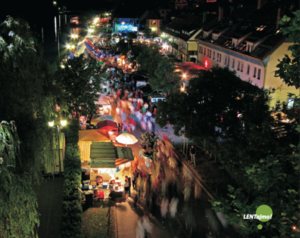 Every summer, the Lent Festival turns Maribor into the world capital of lenting! At the Lent Festival, both spectators and performers are actively involved in the most pleasant entertainment in the city: everyone lents as he or she pleases, yet we all lent together. For some, lenting is the first kiss; for others it is the experience of something new, wild and special. Lenting is the big stars on stage and the small stars in the sky; lenting is a chat over some good food. Lenting are the unique stories experienced by visitors and performers at the festival venues: in courtyards, on the streets, in the park, by the Drava River, along the Lent promenade and all across town; through day or night, without interruption; in sitting or standing, in lying or passing. Lenting is spending the night under a clear sky; it is an inspiring open-air concert and the wave motion of the crowd in the promenade; the laughter among old friends and the roaring applause at the main stage; the beginning of summer and the end of the school year. Lenting is a play on words. Lenting is that which other festivals lack. Lenting is unique to the Lent Festival! 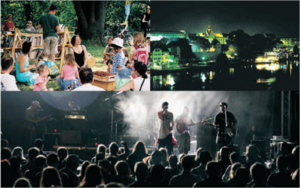 At the festival's numerous venues by the Drava River and across the centre of town, a diverse yet harmonious selection of events takes place: jazz, classical and world music concerts; operas, ballets, theatre and dance performances; evenings with chansons and singer-songwriters; folklore events; street theatre performances; children's workshops; and sports challenges. Lent encompasses five major programme sections which can be considered as independent specialised festivals within the Lent Festival's framework due to their diverse high-quality programmes. The central stage, the floating stage, the big stage... The stage on which the Lent Festival was born. If you want to experience the whole festival on one single spot, you must find and empty seat in the grandstand by the Drava River. 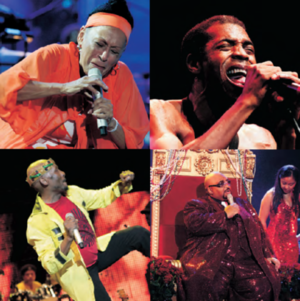 The Main Stage is the home of the stars: Macy Gray, Mercedes Sosa, Paquito D'Rivera, Dr. John, Jose Feliciano, Lester Bowie, Stephane Grappelli, David Byrne, Maynard Ferguson, Taj Mahal, Alfredo De La Fé, Alfredo Rodriguez, Malia, Eric Burdon & The Animals, Living Colour, Maceo Parker, Femi Anikulapo Kuti, Taraf de Haïdouks, Omara Portuondo, Sierra Maestra, Buckwheat Zydeco, Jimmy Cliff, Keziah Jones, Shibusa Shirazu Orchestra, Esma Redžepova, Šaban Bajramović, The Dubliners, Sara Tavares, Olodum, Matt Bianco, and many others have already performed here. 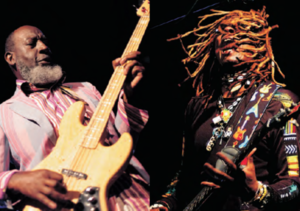 Through the years, the Festival has hosted a number of legendary performers who had and continue to have a profound impact on the music of the 20th and 21st century. 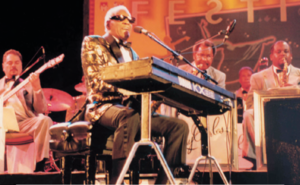 The greatest legends to grace the festival's stages were Ray Charles, B.B. King, James Brown and Solomon Burke. Folkart was the first piece in the mosaic that was to become the Lent Festival. It is the biggest folklore festival in Slovenia and the only Slovenian member of the international non-governmental festival association CIOFF®, which ranks Folkart among the best folklore festivals in the world as regards organisation, content and set design. Ever since its beginnings, Folkart also regularly visits other Slovenian towns and thus spreads global tradition and folklore all around Slovenia. The Folkart Festival is a firework of colours and diversity that creates strong bonds between people. So far, Folkart has hosted over 200 foreign and domestic folklore groups with a total of more than 7000 participants from 68 countries. 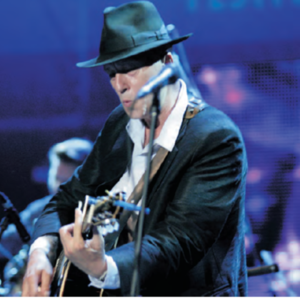 A hotbed of creativity, Jazzlent brings together friends of good music and jazz artists from all around the world. It is full of life until the early hours of the day as every night the regular shows are followed by jam sessions where young jazz artists get the opportunity to jam with their idols. Through the years, Jazzlent has attracted a range of established performers, including: Les McCann, Chico Freeman, Tania Maria, Reggie Workman, Chucho Valdés, Brad Mehldau, Benny Golson, Ray Brown, Bela Fleck, Joe Zawinul, Esbjörn Svensson, James Morrison, Claudio Roditi, Kenny Wheeler, Jimmy Witherspoon, Enrico Rava, Trilok Gurtu Band, James Blood Ulmer, Monty Alexander, and many others. Regarded by many as "the rock venue", Večer Stage is situated in close vicinity of the Old Vine, the oldest grapevine in the world. 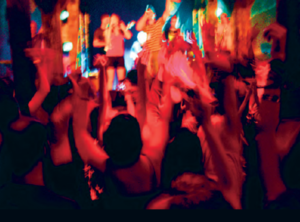 It is synonymous for great fun and outstanding rock concerts that appeal especially to younger audiences. 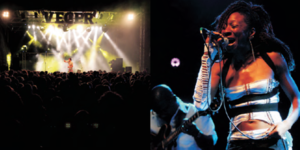 So far, Večer Stage has hosted a number of magnificent performers, including: Dubioza Kolektiv, Buldožer, Riblja Čorba, Al and The Black Cats, Emil Bulls, Laka, Gocoo, Kultur Shock, Zabranjeno pušenje, Monster Magnet, Asian Dub Foundation, Elvis Jackson, Dog Eat Dog, Edo Maajka, and Popa Chubby. A protected cultural heritage site, the Judgement Tower is one of the most intimate festival venues. The stage of the Judgement Tower hosts primarily traditional folk and jazz concerts and everything in between. It aims to promote insufficiently recognised or alternative artists since contemporary folk music has a strong educational and cultural dimension and is closely related to the traditional music of various peoples, while it also includes chords, rhythmic elements and other details that are more or less typical of the music of the 20th and 21st century. The smallest of the festival's stages, the Jurček Stage is nestled in a typical narrow Lent street, right next to the Old Bridge and the former Grand Coffee House. It is the perfect setting for solo concerts and singer-songwriter performances. Through the years, this tiny stage has seen performances by the best Slovenian singer-songwriters and solo performers as well as many musical guests from abroad. For almost every single concert the little street is packed with people, proving that it is not always better to introduce new and modern elements when "the old stuff" is just as cherished and desired as it was when it first came out. The idea of having a special stage dedicated to comedy plays dates back to 1998, when the first comedy performances were held at the former Minorite Stage. The year 2003 saw the introduction of a new festival venue, which is embedded into the inner courtyard of the old Maribor Town Hall. From then on, the Rotovž Stage has been offering a broad array of hilarious comedy plays every year. Attracting great visitor numbers, the performances at the Rotovž Stage are almost always sold out. In 2013 The Comedy stage has moved to the Jazzlent venue. The Lent Festival's Stand-up Comedy Stage offers the widest assortment of stand-up performances in Slovenia. It serves as an annual overview of the development of the stand-up comedy scene in Slovenia and the entire region of ex-Yugoslavia. Over a period of sixteen nights, the audience gets the unique opportunity to see more than 50 outstanding representatives of a comedy genre that is – also due to Lent's Stand-up Stage – quickly gaining in popularity. Every year the Ana Desetnica Street Theatre Festival enlivens the streets of Maribor with exciting events and a good measure of creativity, attracting numerous visitors that are in want of culture, fun, laughter, improvisation and originality in the street. The first idea to hold a street theatre festival in Slovenia originated at Lent and has since developed into an integral part of the festival. Today, Ana Desetnica is a festival shared by two cities – Ljubljana and Maribor – while it is also becoming an all-Slovenian event, as many of the popular street performers regularly visit eight Slovenian towns. The streets of Maribor have been the venue for performances by a number of internationally renowned groups, including Jo Bithume, Les Plasticiens Volants, Malabar and Les Goulus from France; Xarxa and Leandre from Spain; Titanick from Germany; the Argentinian aerial acrobats Voala; and the Belgian troupe The Primitives. During the Lent Festival, Maribor's City Park turns into the Adventure Park, a unique European project of intergenerational cultural education. Several attributes make the Adventure Park a one-of-a-kind undertaking: its long duration (16 days) and great abundance of workshops; its large number of participating mentors, volunteers and performers; its strong international ties and high visitor numbers; the fact that admission is free; and especially its laid-back, friendly atmosphere. Here, culture is accessible in an active and pleasant way to absolutely everyone. 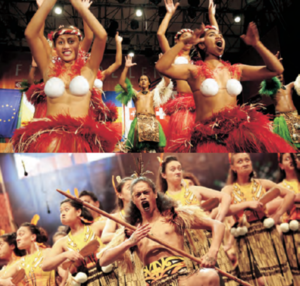 Taking place on two stages are various cultural events, theatre and puppet performances, concerts and dance productions. With its many arts and crafts workshops and fairs, the Adventure Park revives and spreads almost forgotten handicrafts and sparks and promotes creativity. Two central elements behind the concept of the Adventure Park are sustainability and ecological awareness. The Mladina Stage is dedicated to the promotion and presentation of young, less-established musicians and bands. 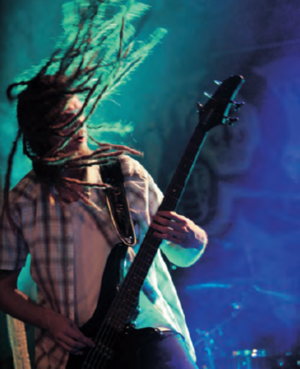 Since its beginnings in 2005, it has been attracting up-and-coming bands from all around Slovenia. What is more, in recognition of its fifth anniversary it opened its doors to international acts as well. The participation of foreign bands raises the bar for local performers and accelerates the development of the domestic scene. Musical education is one of the key factors that shape young people. Therefore, the Mladina Stage is a very important element of the Lent Festival. Also, every night/morning Lent comes to a close at the after party at Mladina Stage. Aimed at lovers of electronic music, Creative Underground is the youngest venue of the Lent Festival. It brings to the fore Slovenian DJs that influence the electronic scene and spread the passion for the genre. Creative Underground also offers events co-created by various creative heads from a diverse range of fields related to electronic music, including VJs, designers and dancers. Set in Union Hall and to some extent in Maribor's historic synagogue, the programme of the Classical Music Salon comprises classical concerts by local and international artists. 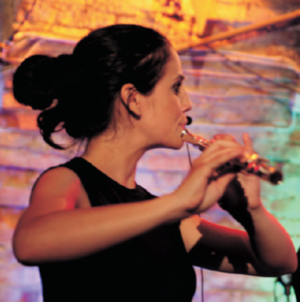 Apart from established ensembles, the list of performers also includes participants of master classes from all around Slovenia, the best chamber ensembles of the music academies and conservatories in Klagenfurt, Graz and Ljubljana, and the best orchestras and ensembles of Slovenian music schools. In order to increase their chances of being selected, the applicants must prepare a programme that is attractive, fresh and well thought out, and includes works by Slovenian composers. The selection process also seeks to ensure a diversity of ensemble types. The youngest specialised festival, the Street Food Festival was added to the Lent recipe as part of the preparations for the European Capital of Culture. If in the past the Lent Festival's culinary offer was considered as an extra service, then SladoLent has succeeded in making (good) food and outstanding chefs an integral part of the creative and (multi-)cultural concept of the Lent Festival. The Lent Festival also takes good care of all sports aficionados. The most popular events are the Lent Air Show and the bridge jumping competition which takes place at the Old Bridge. Sports Lent has already hosted the National Rally Championships, a shotgun shooting competition, international tennis and chess tournaments, the Ultimate Frisbix Summer Jam and several international rowing regattas of students' eights. Lent Festival 2012: Programme items: 603; events: 1,200; performers: 5,220; visitors: 700,000; venues: 44; accredited representatives of the press: 304. More statistics here. 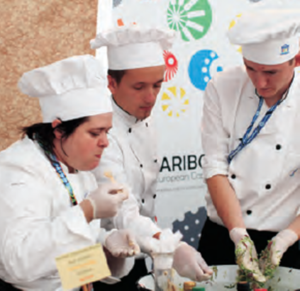 Organisers: The Lent Festival is prepared by 35 full-time employees of Narodni dom Maribor and 580 temporary staff members. Ever since the first Lent Festival in 1993, we have been following a clear objective: to bring quality cultural events close to the general public at an affordable price. Today the festival boasts over 1,200 events at 35 venues over the course of 16 days and more than half a million of visitors – and all that at a full festival ticket price that is comparable to the price of one ticket for a single cultural event elsewhere! This concept exemplifies our vision and mission and at the same time shows who we are, why we are doing this and – above all – whom we are doing it for. As a consequence, each summer Maribor turns into a city of youth, laid-back fun, playfulness, creativity and good company. With the Lent Festival, the city becomes a multicultural world in which visitors, performers and organisers alike can identify with culture. Every year during the Lent Festival, Maribor turns into a capital of culture and enjoyment! We are looking forward to welcoming you at Lent!